1488 finished sq. feet. 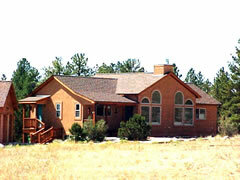 Great room, kitchen, dining room, master bedroom, master bathroom, utility room, bedroom, full bathroom. 1316 finished sq. feet. Bedroom, office, full bathroom, mechanical room, family room, workshop.